Well, I’m officially on board! It’s been pretty well known among my peers, as well as my readers, that I’ve been quite disappointed with the current incarnation of DC movies being produced. As a lifelong fan, I have felt very short changed with the results that we’ve been given. As of recent, I’ve been slowly brought back on board with some, not all, but some of the moves being made. Obviously, Aquaman will be the true test of whether or not things are changing for WB and DC, but their latest move has me very excited for what the future could (hopefully) hold. First reported by The Wrap and later confirmed by Variety, Ewan McGregor has officially been brought on board to play the famous and criminally underused Batman villain Black Mask for the upcoming DC movie Birds of Prey. We’ve known for months now that Black Mask aka Roman Sionis would be the featured bad guy, and now we finally know who. This is a massive cherry on top of a casting sundae over the last number of weeks. The core cast for Cathy Yan’s film is nearly set, with Margot Robbie reprising her Suicide Squad role of Harley Quinn, where she will be joined by Mary Elizabeth Winstead as Huntress, Jurnee Smollett-Bell as Black Canary and Rosie Perez as Renee Montoya. Yan herself also announced that they are currently casting for Asian superhero Cassandra Cain. This is monster. McGregor has always been one of my favorite actors. I grew up watching him as a stellar and much more agile Obi-Wan Kenobi in the Star Wars prequels and have followed his career ever since. I can’t wait to see him embody a terribly bad man who should have seen the big screen a long time ago. Sionis is a very interesting character as his story is what could have happened to Bruce Wayne if he fell down a dark path. While I would love to see him face-off against Batman, where the two could have history as childhood friends, being the main villain here could leave the door open for him to show up in a Batman movie somewhere down the line. Either way, I can’t wait to see what McGregor brings to this multi-layered character. 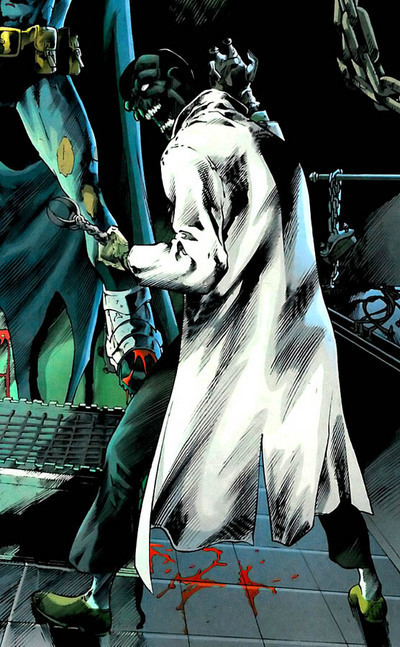 For more background on the character of Black Mask, follow this link: https://apocaflixmovies.com/2018/08/07/black-mask-is-the-villain-for-birds-of-prey/. No other major details have been revealed about what kind of origin we’ll see from the character, but the pre-production stage for this movie is moving rather quickly. It’s not due out until 2020, but with it pushing forward at a rapid pace, I wouldn’t be surprised to hear much more about it sooner rather than later. The movie has a very large intrigue factor for me. Robbie’s Harley Quinn might be the best thing to come out of the DCEU for me, and to see her surrounded by such powerful female characters that I grew up reading about is pretty exciting for me. I’m not going to say that I think this movie is going to crush, but I’m easily looking forward to it a hell of a lot more than I was a handful of months ago, especially with it being announced that it will be D-rated! Hopefully it can keep the train moving and deliver on the potential the project has. What do you think of this news? Is McGregor the perfect choice for the character? Do you hope to see him in a Batman movie one day? How about the project overall? What aspect are you looking forward to the most? Yan’s Birds of Prey has a set release date in February 7th, 2020. Tagged as: Aquaman, Birds of Prey, Black Mask, Cathy Yan, Ewan Mcgregor, Featured, harley quinn, Jurnee Smollett-Bell, Margot Robbie, Mary Elizabeth Winstead, Rosie Perez, Star Wars, Suicide Squad, Warner Bros.